In case you’re wondering what all the fuss is about, meet Hans Georg Lindenau, proprietor of the “revolutionary supplies“ shop M99, named after its address at no. 99 Manteuffelstrasse, Kreuzberg. Together Hans Georg and M99 are a uniquely symbiotic and irreplaceable Berlin institution, offering positive impulses and strategies for pushing back against negative trends in society. He’s been running his business for the last thirty years, putting his values and self-determination visibly into practice. And in so doing reminding us of the importance of the individual, and of society’s tolerance towards him or her. On this scale H.G., as he is also known, is in a class of his own. 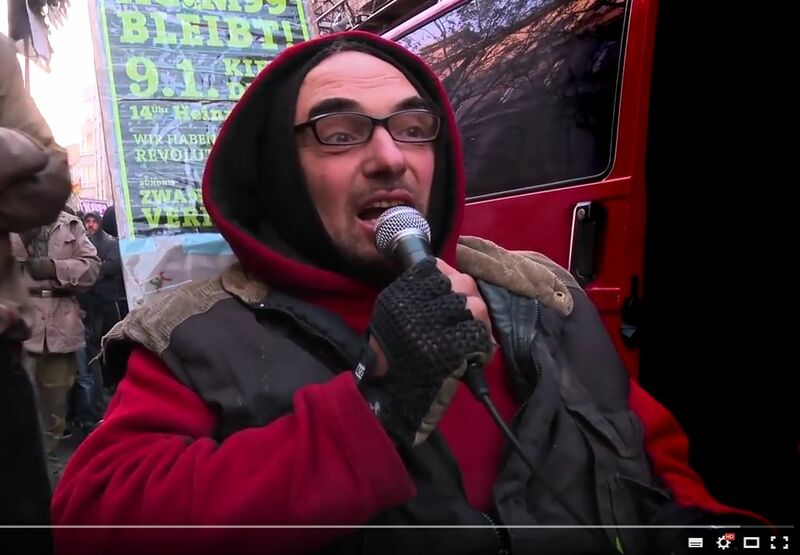 You might already have seen him on the red posters around town… or you may well have noticed him propelling himself past you through the U-Bahn system, singing his own unmistakable song as he goes. H.G. is a radical – in more ways than one. He is wheelchair-bound – and, whilst you might reasonably expect someone with a disability like this to be dependent on other people, nothing could be further from Hans Georg’s personal philosophy. Over the last thirty years he has managed to build up a livelihood for himself tailoring it to his personal mobility parameters. And it’s a great success – by investing the necessary time and attention to detail in sourcing the right stock he has ingeniously managed to establish a truly innovative niche for M99. The shop supplies enthusiastic and loyal customers from all over the world. H.G. is due to be evicted on 9 August. But this will make him homeless, as well as depriving him of his livelihood, probably permanently. On Sunday, 7 August we will demonstrate against this in solidarity with Hans Georg. This is your chance to give something back to the city we live in by saving an irreplaceable business and livelihood – one which has taken decades to build up, and whose cultural significance in the context of Kreuzberg and Berlin cannot be overstated. So come and spend a summer’s Sunday afternoon out in the open with local people who care – and you can still get yourself that ice cream you wanted, by the way! 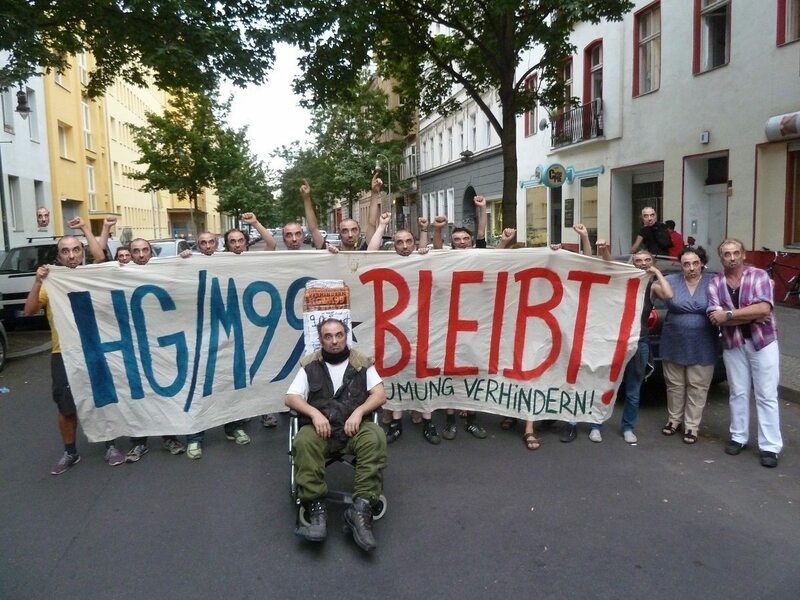 This is the moment that counts – don’t think twice, support Hans Georg at the demo to save his business and living space at Heinrichplatz on Sunday, 7th August at 4PM. Even if you feel your own revolutionary needs are already taken care of… we need to make sure we give H.G. another chance to carry on doing his thing. Because once he’s gone, it’ll be too late.